One of the main disadvantages of WhatsApp with respect to its competitors' customers is the absence of a PC client that allows users to talk with their contacts from a computer. 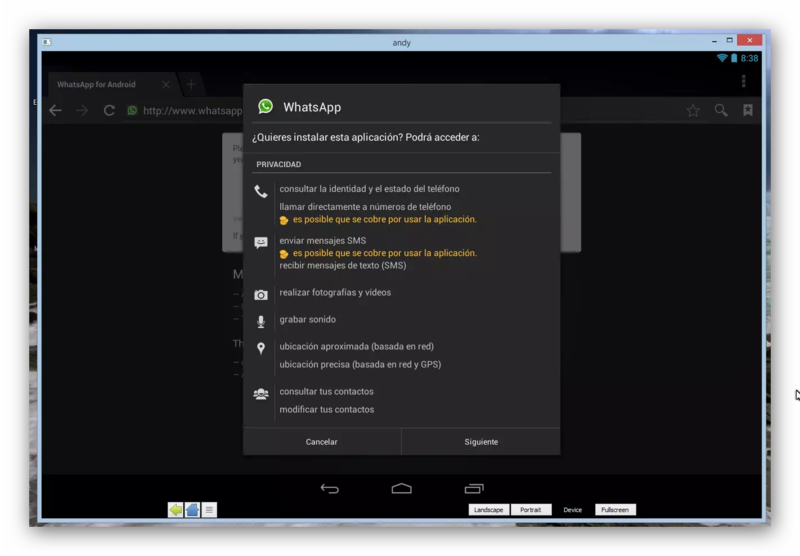 This is an impediment, for example, for users who find it uncomfortable to write on a touch screen, however, it is possible to run WhatsApp on a computer if we use an Android emulator of the many that abound in the network. 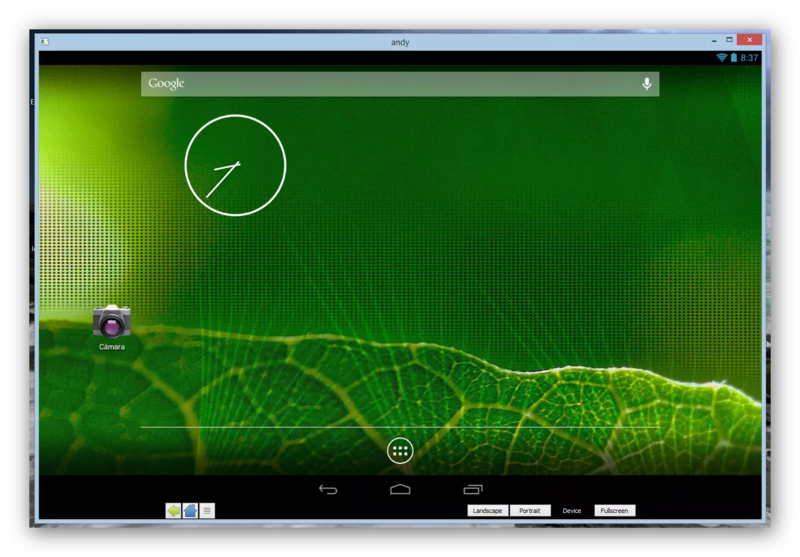 A free alternative to running Android on a PC is Andy. Andy will allow us to install this emulator on Windows or Mac operating systems and run both applications and games of the Google operating system easily for those who do not have a smartphone or prefer to use certain programs such as WhatsApp from a PC instead of from a smartphone. The first thing we should do is download Andy OS from its main website . 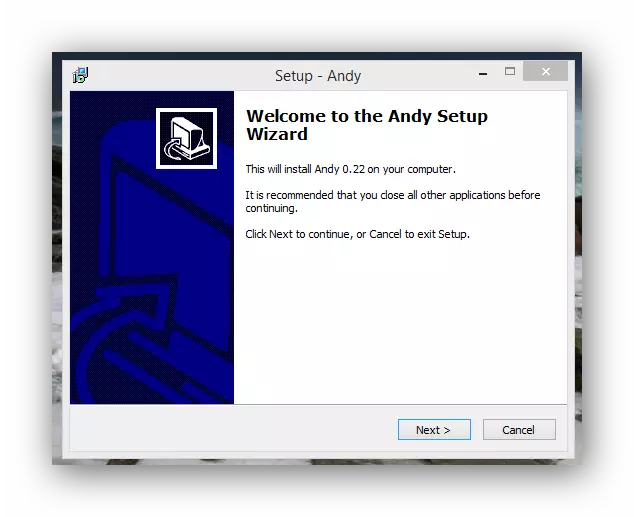 Unlike other emulators, Andy comes by default with all the packages and dependencies necessary for its correct operation, so it will not be necessary to install additional software for its use. Once the package is downloaded, we will install it by executing it with a double click. The installation is done clean without installing malware or unwanted software. 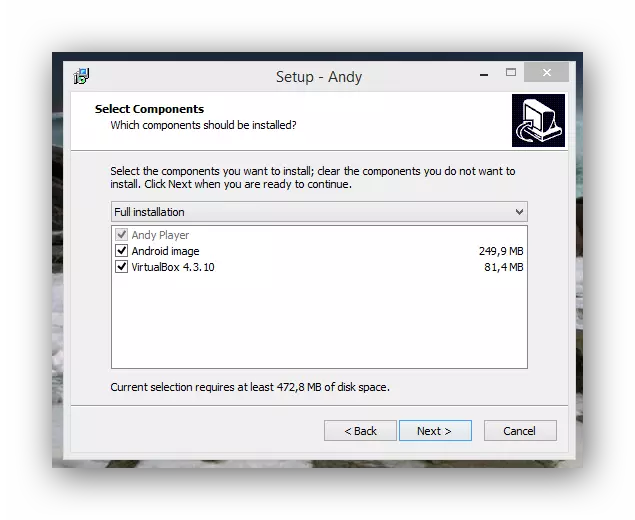 During the process it will ask us if we want to install the VirtualBox virtual machine (since it works with it) and the necessary Android SDK because it includes all the operating system packages to be able to emulate it correctly. Downloading the APK from the official website of WhatsApp and installing it manually in Andy. From another application store (Amazon App Store) installed in Andy. When we run our emulator we will see a window similar to the following one. In our case we will install WhatsApp from its official website since that way we will also get an updated version more modern than the current one available in the different application stores. Once the download is finished, click on it and install the client in our emulator. The first thing we will see will be a summary with all the permissions that this messaging client requests from the operating system. We must accept them to start the installation. If you have disabled the "Unknown Origins" option, we must activate it before starting the installation. If we do not have a file browser we can download, for example, ES File Explorer or Astro and the download will be in the "Download" folder inside the internal memory of the device. 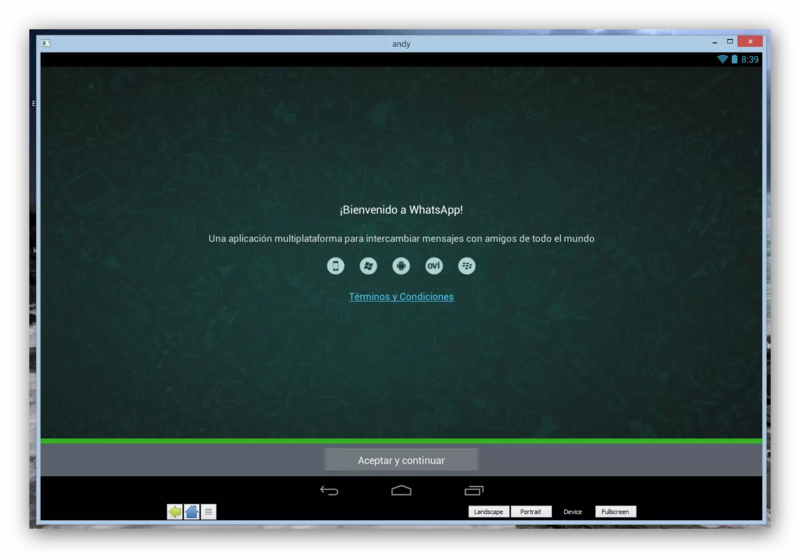 Once installed WhatsApp in Andy we executed it and the only remaining thing is to follow the process of login to start using this program from our PC. We must bear in mind that we can not use WhatsApp at the same time in the emulator and in the smartphone since if we start session in one platform the other will be deactivated automatically since this messaging client does not support even multiple accounts running at the same time.